Testing your application can seem like a huge undertaking, but it doesn’t have to be. Setting up testing is easy, and lets you write your tests as you write your code (or vice-versa if you’re using TDD) and prevents you from gaining testing debt in your source code. In this brief guide I’m going to demonstrate a quick and easy way to setup NodeJS unit testing complete with Travis CI. This guide expects that you’re hosting your code on GitHub. If you aren’t the steps around committing and pushing your code, as well as those around setting up Travis CI won’t apply to you. Everything else should though! First off we need to install Jasmine which is the unit testing library. It contains both unit tests runners and the assertions that make up tests. Ensure that your project already has a package.json file. If it doesn’t you can run npm init in your project root directory to create one. This installs the jasmine cli which we’ll use to initialize the project for testing. You may need to sudo this command. This tells jasmine that your tests are located in the spec directory and have names that end in spec.js or Spec.js. It also declares a folder for finding optional helpers. This is actually all of the configuration you need! So let’s go ahead and write some tests. Note that we export the getStringToPrint() function so that it’s available later in our tests. You can see how Jasmine makes your unit tests descriptive of what we’re testing. The code itself makes it pretty clear what’s being tested and what the goal is. This spec includes two test cases: one that checks if the string returned is Hello and the other checks if the string returned matches the regular expression /World/. 1) index should print Hello World! Expected 'Hello World!' to be 'Hello'. Error: Expected 'Hello World!' to be 'Hello'. Success! We now have working tests. 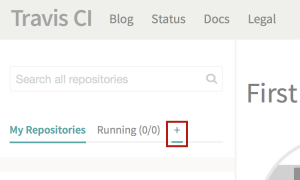 Now lets setup continuous integration with Travis CI. Unit testing is great by itself, but the goal is to setup a system that automatically runs tests for you and informs you whether you’ve broken something. This way you always know whether your repo is working or not. Additionally if you get a pull request on GitHub Travis will automatically tell you whether the incoming changes work or break your project. Note line 7 where we define that our tests are running by running the command jasmine in the current directory. Now that this command is in package.json you can run the tests by running npm test in the current directory. Cool! Here we tell Travis that the language we’re testing is nodejs. We tell it before it tries to test it should install jasmine globally, and then we give it a whole bunch of versions of NodeJS to test against. The last line tells it to test against the most recent version. This way we can ensure that not only does our code work for the most recent version, but that it works for a whole bunch of other versions as well! Next you need to create a repository on GitHub and push the code. Once you have a repository run the following to add your changes and push them. If you already had git setup for this project you can skip the git init and git remote commands. git commit -m "Adding project files"
That’s it! Now your changes are saved in GitHub. Now let’s connect the dots with Travis CI. Got to travis-ci.org and attach it to your GitHub account. Once you’ve attached your GitHub account setup your project by clicking on the small + icon (pictured to the right). Find your repo in the list (you may need to click the sync button at the top of the page if you don’t see it) and click the toggle switch. Now Travis is enabled! But it will only try and build the code when you make a change, so let’s go ahead and do that by adding a README with your new tests passing badge! In Travis CI select the project you enabled by clicking on its name. On this page you’ll see a build | unknown badge. Click this badge and select “markdown” in the popup. Copy the text in the box. # Node JS Unit Tests! This project demonstrates how easy and awesome it is to setup NodeJS unit testing with Travis CI! git commit -m "Adding README"
Badge added, but tests not run yet. If the state is unknown then your test hasn’t been run yet. 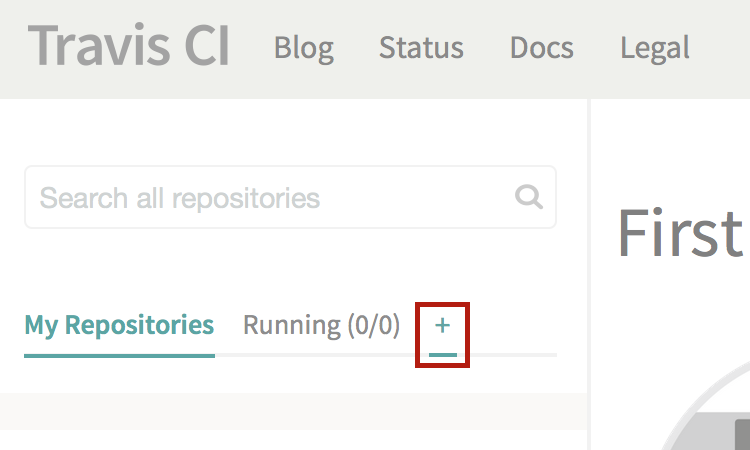 Click on your badge and you’ll be taken to the Travis CI page where you can watch your tests be run. I recommend clicking around a bit here and exploring your test output – it’s really quite neat. Going back to your GitHub page after your tests complete and you’ll see a nice green build | passing badge. Good job! By testing your code you’ve made the world a better place! Your beautiful green Tests Passing badge! Let me know in the comments if this was useful, and be sure to leave a rating below. You can find the code for this tutorial on GitHub. Thanks for reading!